The Luck of the Irish-ish – Small Town. Small Times. The word was out. Renee Dyer was the one to tell me — find a four leaf clover and you’ll have good luck. She claimed the day after she found one, her mom bought her a Barbie townhouse. I wanted a Barbie townhouse…and white go-go boots — the patent “leather” kind with stretchy laces up the front. The next day, I went out searching. Our yard had nuthin’, but I’d heard the family down the street, the Footes, had lots of clover. I went over and got down on my knees in their backyard. Sure enough — the Footes had clover everywhere. I peeled apart patches. Several times I thought I had one only to find it was two three-leafed ones tangled up together. Tricky bastards. Every day I went and sat in the Foote’s backyard and picked though their lawn for hours. Funny, the Footes never asked what I was doing out there — just your basic hang-out-alone-in-a stranger’s-yard 1970’s childhood pastime. I never found that illusive four-leafed minx, but two decades later, I married an Irishman…and Oh Danny boy, was he lucky (wink, wink). Now I’ve got a yard profuse with those obnoxious clover. They’re pushy with my grass, and they invite bees over when they flower. And of all the bazillion of them out there, I guarantee you, not one of those rude lawn-crashes has four leaves. On the other hand, it’s supposed to be 60 degrees today. Maybe I’ll take out a blanket and a shot of Old Bushmills and go have me a look-see. My wish list is long, but I’m Irish-ish, which makes me lucky today. I’m sure I can narrow it down. What about you? If you found one, what would you wish for? If I were to find a lucky four leaf clover I think I’d wish for a cure for ALS. But since that’s the kind of wish no one could grant, my back up wish would be unlimited Amazon.com credits. Good wish — no ALS, no MS, no cancer. Prayers to your family. Unlimited Amazon credits? Give me your first five picks. I need book recc’s for spring break. I remember doing the same when I was a kid. I’ve only ever found one in my life and it was on a walk with my family somewhere — I ended up losing it trying to catch up with them all as I was dawdling so much. Do you remember where you dropped it? Can you draw me a map? I see you got your (writing) groove back! 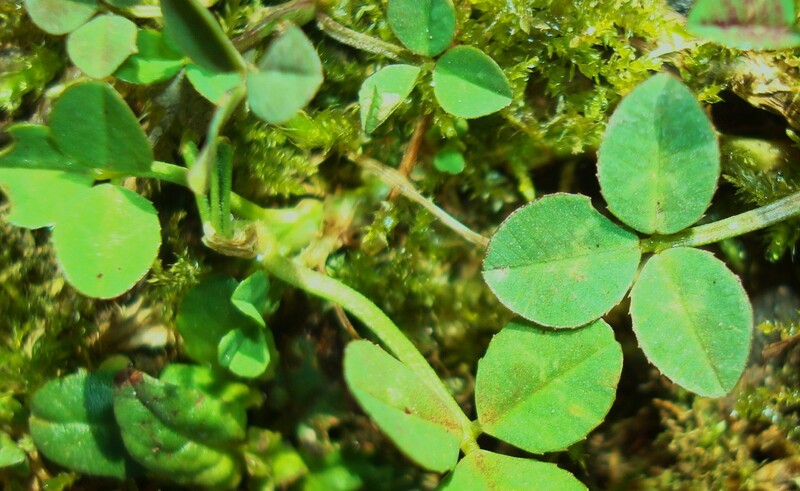 I remember spending a few minutes looking for a four-leaf clover, then notching one of the leaves and calling it good. You obviously had more patience than me! No, you’re just smarter than me — and far more efficient. I’m a litte nervous about the plane thing, but Curtis Stone – mmmmm. Please sir, may I have some more? Speaking of the ’70s, this story reminds me of a contest once staged by my late grandfather. His lawn was overrun by dandelions. We thought they were beautiful. He thought otherwise. He challenged his grandchildren to gather as many of these golden beauties, by the root, as we could handle. Whoever gathered the most won the challenge. If forget what the prize was, maybe some quarters, maybe an ice-cream sandwich. Clever man. Clever man, I’ll say. Come spring, I’m submitting the same challenge to children in Jcrewville everywhere – because next to each rude little clover in my yard are two rowdy dandelion friends. LUCKY? Who’s to say I am not lucky? I have 3 beautiful healthy children, an adoring husband who provides for our family, a roof over our head, money enough to buy food and put gas in the tank of the van, and an abundance of family and friends who love me and I love them back. The sun is shining and I have a good book to read while I drink my coffee and watch the kids play in the yard. Who needs luck………..I’ll take what I have any day! I am richly BLESSED! Yes, Becca you are blessed indeed – and quite lucky, too. P.S. What are you reading? My mom and I have been reading all the alphabet mystery books by Sue Grafton, “A is for Alibi” and so on. I was quite sure they would get old and repeat themselvs but we have been plesantly surprised. I am on “Q” and still have not guessed an ending. Not quite like the Patricia Cornwell books but a close second. If you have not read “The Glass Castle” or “Half Broke Horses” by Jeanette Walls, put those on your list. We have also enjoyed all the books by Sandra Dallas, “The Persian Pickle Club” being my favorite. It has encouraged my newest hobby……quilting! I must admit I am short on time and miss wandering through the library and book store by myself so I go to Costco and write down the new titles and check them out from the library. The one I am waiting for now is called ‘Loving Frank” (I think) about the artist Frank Loyd Wright. What’s new on your list? Next Post This I Believe?